Here are some Instagram accounts to get started with natural still lifes. There are millions and millions of photos on Instagram and new ones appear every second. It's quite difficult to find something absolutely stunning, so we did this job for you. 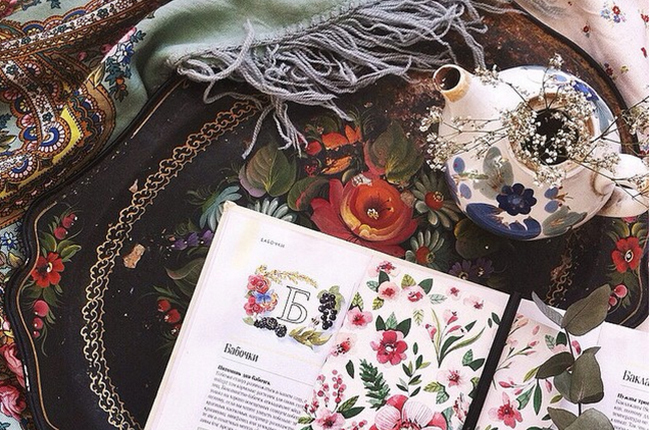 We found dozens of inspiring still lifes created by Russian Instagram users. Scroll down now for a visual feast. The weather in Russia is very temperamental: a sunny day can be followed by a rainy evening and a snowy night. But it's a great inspiration for artists looking to blend the natural beauty and patterns of leaves, grass, flowers, food and animals into something sweet and wonderful. Combining textures, you can achieve a striking result. And the only equipment you need is your smartphone.